Live dealer games are among the most played variations in online casinos today. The fact that the games are operated by a real human dealer instead of a random number generator software makes them much more preferred. Dream Catcher is a new live casino game from one of the leading software developers in the igaming industry, Evolution Gaming. The game is simple, straightforward, and fun to play. 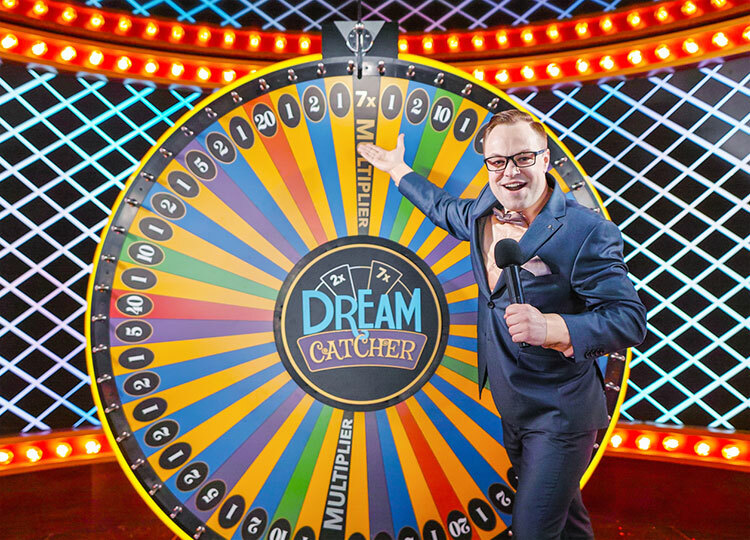 One thing that makes Dream Catcher stand out from the rest is the huge single spinning wheel with 54 marked fields. Basically, Dream Catcher retains the idea of the classic wheel only that it is hosted live from studios in Riga, Latvia. Evolution Gaming is a leading live casino software developing company with many years of experience. They have been supplying casino games for land-based casinos as well as the online market. Online casinos powered by Evolution Gaming are known for their wide range of games including live dealer and RNG-powered variations. Even though this company has partnered with different brands around the world, their main focus is on the Eurpoean countries. Their hard work has earned them several rewards with the first ones being the EGR Live Casino Software Supplier of the year and Software Rising Star of the Year. Most games are fully optimized to fit on small screen devices like Android and iOS. Evolution Gaming's quality products have earned them a reputation among leading casino operators in the UK like bCasino. The latter is a relatively new platform which has quickly become popular for various reasons. bCasino is owned and operated by the famous GS Technology limited company and holds a Master license from the UK Gambling Commission. The huge game library including live dealer games, table and cards, video slots and excellent customer support services are what have made this casino site very popular. 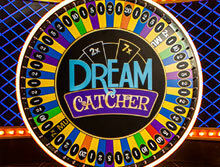 Dream Catcher is the first title released by Evolution Gaming in the latest Money Wheel live casino gaming category. This visually appealing game has been designed and build for Evolution Gaming by TCSJOHNHUXLEY. The studio is installed with state of the art multi-cameras and with enough lighting and auto-syncronized sound effects. The live dealer spins the mighty wheel and interacts with the punter throughout the game. Multiplier 7X-1 black colored partition. Multiplies the bet by seven. Live Dream Catcher boasts of stunning HD visuals and excellent soundtracks. The game can be adjusted to standard view in places with unstable internet connection. The cameras are placed strategically to ensure that every action is captured in real time and from different angles. The game comes with a chat option where gamers can initiate a conversation with live dealers as they play. Also, there is an option to view the paytable and the total balance in your account. There is an option to shift between different camera angles and close-up shots such as the multi-camera view, classic view, and 3 Dimensional view. It is optimized with HTML5 to enable it fit on mobile devices. Has a simple and straightforward gameplay. Players enjoy a theoretical return to player percentage of 96.58%. The game comes with a multiplier feature of up to 7 times your bet. It is available in full HD as well as standard view to fit in areas with different internet speeds. The games takes a maximum of 45 seconds. The multi-camera views and close-up shots makes the game to be very immersive and sun to play. There are different bet options and attractive payouts. The studio is beautifuly designed and equipped with bright colors and great sound effects. The betting limits are friendly to suit every player's budget. There are no complicated rules that need to be mastered. The game is fast paced and smooth. If you are looking for a way to take your gambling experience to a whole new level, Live Dream Catcher by Evolution Gaming is the best option. Create an account at bCasino today and enjoy a generous welcome bonus of 100 free spins up to $1200 bonus among many other rewards. We take pride in partnering with some of the leading software developers in the industry. As such, our game portfolio is huge and comprises of popular titles including live dealers and RNG games. The fact that you can play Dream Catcher on the go has made it a favorite among many online gamers. Moreover, we have a knowledgeable team of support agents who work around the clock to ensure that all your questions and disputed are attended.